Addison Moore: EPHEMERAL has arrived! Shut the front door woooooo!!!!! OK.. Woke up at 6am -- took care of my 2 year old and downloaded Ephemeral - it's now 730 and I'm already HOOKED, (my 2 year old is probably swinging from the light fixtures - no only kidding :) -- It works -- Addison, thanks again for transporting us...I just can't say enough about your writing!! Half way through and it is fantastic! I absolutely love the way you can take us to another world. Your writing is wonderful. finished it in less than a day I'm hooked can I have more???? Brittni guillen - Ha, ha! Hope you enjoy! JMama - I'm so glad you're feeling transported!!! That makes me all giddy inside. Andrea @The Bookish Babes _ Thank you Andrea!! kcasanova88 - I hope you enjoy Laken's world! Amy - Aw, I really do hope you enjoy it just as much as Celestra. TOXIC is up next! Beautiful Greetings - You are so fast!!! I hope you luv it right till the end. EPHEMERAL is longer thanVEX! tinker86- Oh my gosh! Happy dance! You are awesome! Next book is hoping to be 3 POV. Wes, Cooper and Laken. Finished and I am SO SO in love with all of the characters! Can't wait to read more about Laken, Wes and Coop...especially Coop :) Thank you so much for such a wonderful read. that I think would b a great idea :-) I'd love to hear wats going through their heads!! I so can't wait to start this new series....i recently fell in love with the Celestra series and read all six in like a week...just love your writing style! random question wen r u 2 old to b reading YA novel's??? 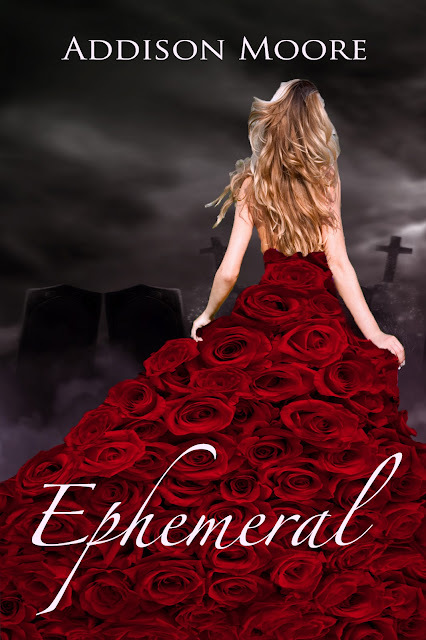 I just finished "Ephemeral" and left a review at Amazon. It was my weekend escape. The sun was shining and the Nephilim were out to play. What fun. Keep 'em comming, I love your books! Stephanie.J - Stephanie! All six in a week! That blows me away! I hope you'll enjoy EPHEMERAL as well. I have characters from this book in both parts of TOXIC as well. Let me know what you think of it! Denise - I cannot thank you enough for reading and for leaving a review!! It sounds like you really enjoyed spending the weekend with Laken. And I couldn't be happier! I can't wait to share more with you~! Amy - Ha, I love that you read into the red zone with your nook! It's good to run the battery all the way down, right? ;) I love that you're team "hell if I know" Laken feels the same way~! Thank you so much for reading Amy!!! Sheri - Sheri!!!!! You are a reading machine, lol! I cannot thank you enough for your enthusiasm. I sure hope you enjoy EPHEMERAL as much as Celestra. I'm thrilled you found the books. Please stop in often! Oh my gosh, o my gosh! What an ending!! When is the next one out & how is Toxic 1 & 2 coming along? Another great read, don't ever quit writing, you've got me actually wondering if these people/things could exist! Thank you again!!! LaughingSun - I'm so glad you liked the ending! Those are amazingly tricky, lol. Although I think Wes and his words are about to become prophetic for poor Laken.